It was clear from the actual commercial that the IS was actually playing the drums, but it’s always amazing to see just how complicated a process it turns out to be. Excellent work by everyone involved. Something else I took from the video: Not only has the IS F-Sport been tuned by the engineers responsible for the LFA, it’s also borrowing a little shine from the supercar’s “halo”. This IS commercial and the earlier wine-glass shattering LFA commercial share a lot of the same characteristics, right down to the way they were made. 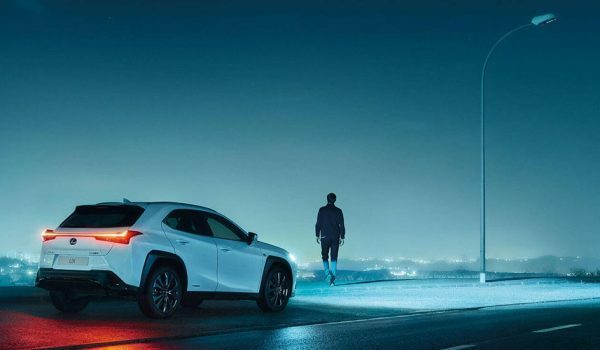 I read this similarity as the first step in building the connection between the Lexus LFA and the rest of the lineup, especially the sport-oriented models. This developing relationship is going to get plenty of focus over the next while, and it’s going to be extremely interesting to watch it unfold. JVX: Very impressive. Lots of precision, detailed work, and timing involved.